In Chinese astrology the twelve animal signs are influenced by the five elements of Metal, Water, Wood, Fire, and Earth. 2018 is the Year of the Yellow Earth Dog. If you are born under the sign of the Dog (1922, 1934, 1946, 1958, 1970, 1982, 1994, 2006) then you are loyal but also prone to anxiety. Dogs attach great importance to respect for the ‘rites’, has great honesty, and moral codes. They inspire confidence in their elders. An honest, active worker they can succeed in business and are the object of general esteem. Dogs are fighters, intelligent, and clear in their judgement. Obstinate and active they know how to listen. Intuition warns them of danger, but, being rather pessimistic, they can exaggerate it. Their anxiety and clear thinking mean they may not be happy in love despite their warm nature. They are ambitious, extravagant, and hot headed. If dogs cannot overcome their anxieties they have little chance of a happy life. If they are born at night they will always be anxious. (Jean-Michel Huon de Kermadec, 1983. The Way to Chinese Astrology : The Four Pillars). According to Chinese astrology, Dogs are a metal ruled sign, and Metal Dogs are said to have double Metal in their make up. This makes them even more loyal and determined than the other Dogs. It can produce a Dog of extremes. The Earth element combines to produce a personality capable of an almost eerie impartiality. The high idealism of the Dog is tempered here with an Earth nuts and bolts attitude to problem solving. Democratic notions form the backbone of this Dog and find him frequently following the principles of majority rule, as long as he can be certain it is the majority he follows. Earth makes the suspicious Dog even more secretive. He is unlikely to put his feelings on the line because he isn’t altogether certain others won’t exploit them. An Earth Dog is somewhat of an over achiever. Like their Metal dominated counterpart, these Dogs can make excessive demands on others because they are so demanding on themselves. Earth’s caution and carefulness direct this Dog to material concerns, but the Dog prompts them to share wordly goods in charitable or philanthropic acts. They can be excellent advisors because of emotional distance coupled with an insight into what others do best. Their guidance can be invaluable, his advice sound if not imaginative, and Earth gives them an innate wisdom which, in the Dog, translates to an inner purity of character. According to Chinese astrology an Earth Dog year is said to by a chance to start new ventures, try innovation, and to do your ground work before jumping straight into these new opportunities. So at FitLife Martial Arts we have been planning some new classes to take the opportunity offered by the Yellow Earth Dog. We will be encouraging Downward Dogs at our Hatha Yoga classes starting 6th March. 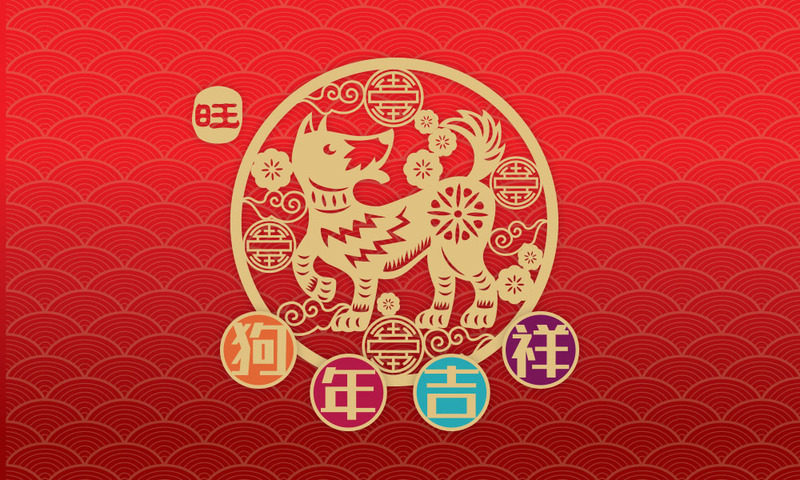 In Chinese astrology the Dog represents loyalty, dedication, protection, and family comfort. All of these can be found and enhanced when training with us at FitLife Martial Arts, especially in our Kung Fu system.